Spring has arrived and pollen is in the air. 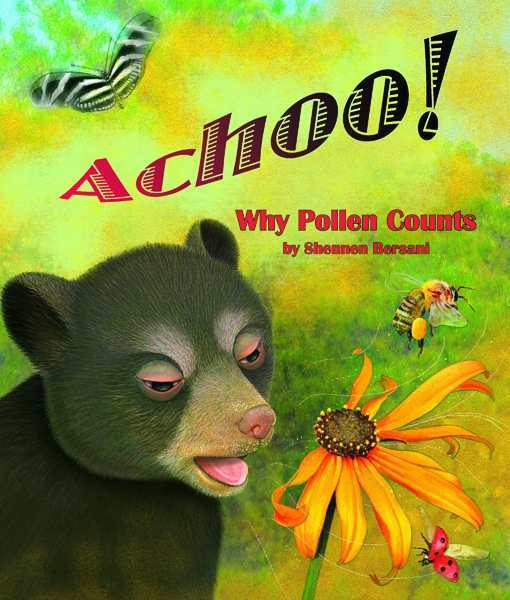 Baby Bear does not like the pollen—it sticks to his fur and makes him itchy and sneezy. He’s allergic! Achoo! He just wishes the pollen were gone. When his friends gather to tell him why they need pollen, Baby Bear learns that pollen is good for the forest and provides food for many animals, including him! Pollen might be something we all love to hate, but can we really live without it? This story explains why we need it.